This is one of a series about Winnipeg's deadliest fires. On the morning of January 31, 1977, the Town and Country Lodge apartments at 877 Preston Avenue at Arlington Street went up in flames. Despite the idyllic sounding name, the terraced housing block was in a grave state of disrepair. It is unclear when the terraced housing complex was built, perhaps as early as 1906. 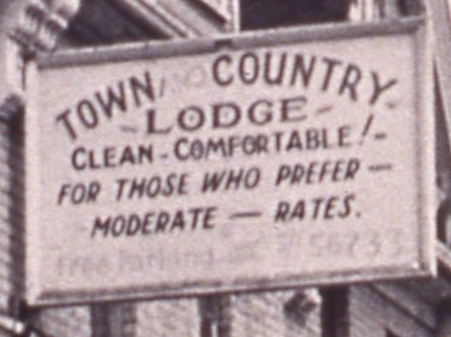 It was a series of private residences but in 1955 became the Town and Country Lodge. Ads through to the early 1960s offered rooms for rent by the day, week or month. Apparently it was sometimes used by family members visiting patients at the Grace Hospital as a boarding house. In 1967, though, the Grace moved to St. James and by the 1970s was subdivided into 31 suites, most of which had to share common bathrooms. 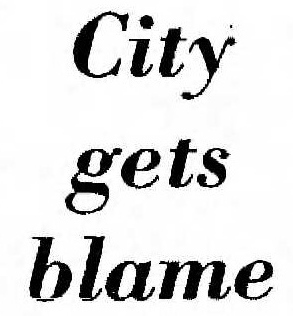 The block was shut down in 1971 for being what one city official called a "slum". A list of 28 health and safety complaints had been levied against it and they felt the owners were dragging their feet in making the necessary repairs. In 1975 it was again shut down by the city for being "unfit for human habitation", but reopened after minimal repairs were made. 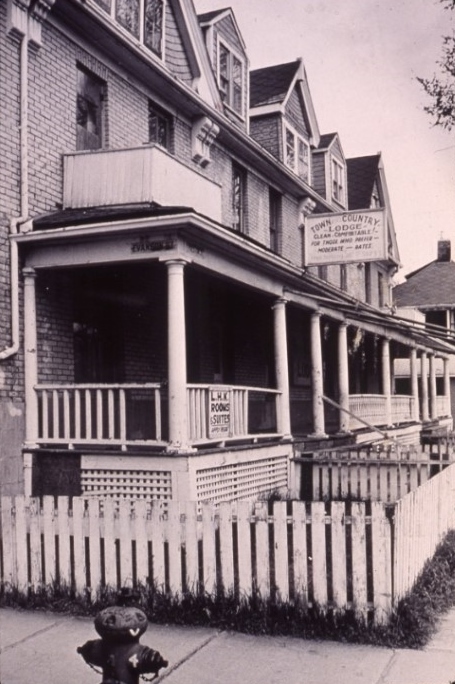 The building was referred to by some as a "flop house", a place where transient people came and went and where rooms were overcrowded due to tenants housing visiting friends and family. Many of those who lived in the block were on city welfare. At 1:33 am on the morning of January 31, 1977 a fire broke out on the main floor. It quickly spread up partition walls and ventilation shafts to the attic. Many residents who escaped did so by jumping form upper floor windows. One other man and an 18 month old baby could not be identified at the time and it is unclear whether they ever were. No official cause for the fire was found, theories ranged from bad wiring to careless smoking. 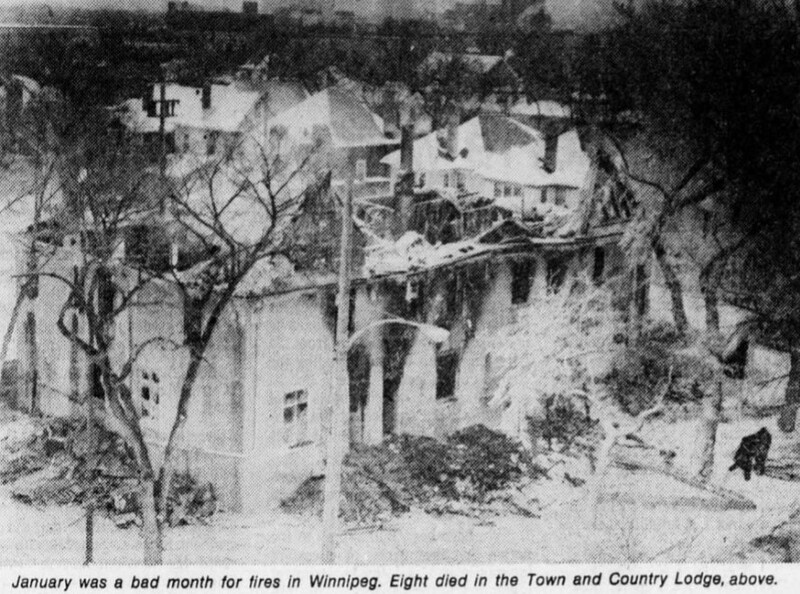 This was Winnipeg's third apartment fire in just the first month of 1977. 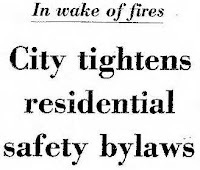 This, despite the fact that the city had begun to crack down on fire safety in apartments since the Haselmere Apartment fire killed nine in 1974 and the Fort Garry Court fire in 1976 killed five. In past decades when the city tried to enforce modern fire code for all apartment buildings, regardless of when they were built, landlords fought back by threatening to shutter buildings and not build new ones. For the most part, the city backed down and only enforced the updated fire code for new construction and left existing buildings alone. The Haselmere changed that, though the number of appeals to fire code notices by landlords and the sheer number of buildings the city now had to inspect - an additional 1,500 - bogged the process down for years. The Town and Country had passed a fire inspection just eight months before the fire, even though the building had no smoke alarms and the fire escapes didn't reach the top floor. This was because the building fell between the cracks of the new rules. It wasn't tall enough to be classified an apartment and because it was a row of terraced houses, it wasn't considered a rooming house. As a result, it was inspected based on what it would have needed circa 1906 when it was built. The city faced strong criticism at the inquest into the fire for having such a patchwork of fire regulations that numerous properties fell between the cracks. it was noted that all of those killed died of smoke inhalation, not flames, so smoke detectors would have likely saved at least some of the lives. Survivors, most of whom were on city welfare, were moved to the McLaren Hotel. Many complained long after the fire that their housing and other emergency needs were never met. A group of survivors created an organization called the Associated Tenants Action Committee (ATAC) that pressed for improvements in emergency relief and better quality affordable housing in the city. ATAC was active for a number of years after the disaster. 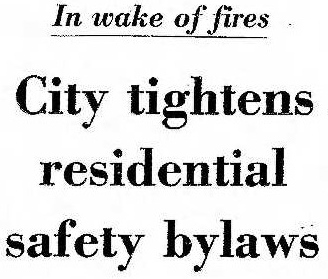 On April 7, 1977, the same day the inquest's report critical of the city was released, the city passed a motion to include all residential buildings under the city's fire safety bylaws. This included hotels, motels, lodges and boarding houses and would have included the Town and Country. For more of Winnipeg's deadliest fires.